Mike Lennon of Lennon Sails has been involved with the I14 since 1993 when he took his Ovi 1b to the Kingston Ontario Worlds. In that year Mike also paid homage to the shrine at Beer during POW - it is said all those present received the gift of true enlightenment. With such a gift Lennon’s designs went on to win many worlds through the changing periods of 14 rig development. 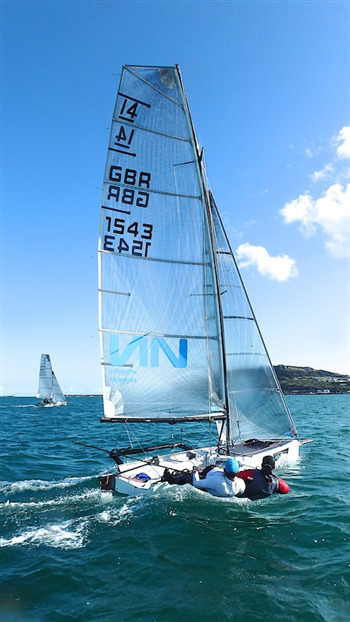 In recent years as Technical chief at Hyde sails, Lennon has worked with Glen Truswell to develop some outstanding sail shapes, making a breakthrough with the free fibre layout sails referred to as Membranes.